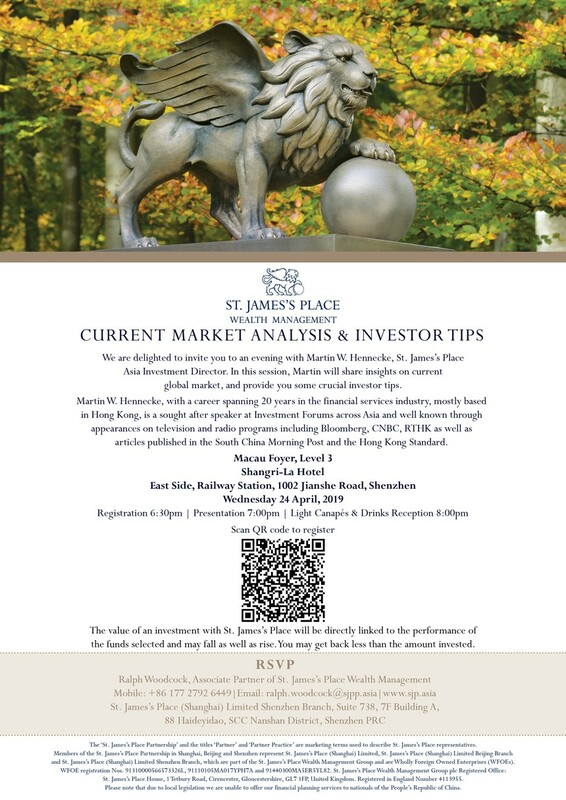 We are delighted to invite you to an evening with Martin W. Hennecke, St. James’s Place Asia Investment Director. In this session, Martin will share insights on current global market, and provide you some crucial investor tips. Martin W. Hennecke, with a career spanning 20 years in the financial services industry, mostly based in Hong Kong, is a sought after speaker at Investment Forums across Asia and well known through appearances on television and radio programs including Bloomberg, CNBC, RTHK as well as articles published in the South China Morning Post and the Hong Kong Standard.